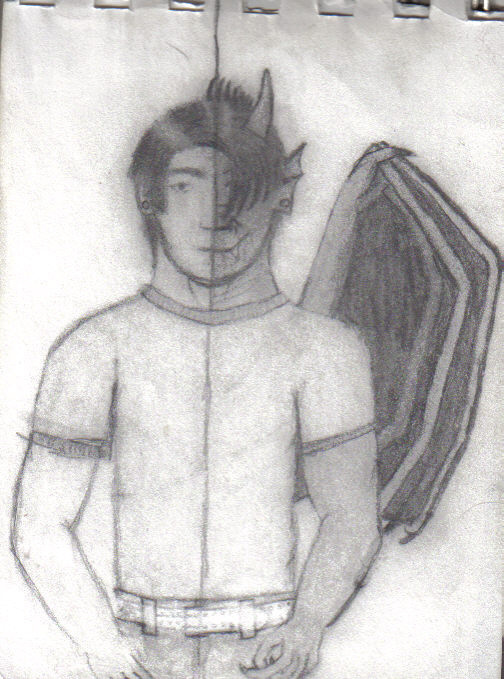 another early doodle, when i was working on proportions. it's the same character show both human and animal sides. this one was made mainly to bug someone i knew in high school.